Always use a licensed Home Improvement Contractor and/or Salesperson. Get References. Check with at least three reputable references before hiring a contractor. Never Pay Cash. Don’t ever pay for repairs or improvements without a contract and in cash. Pay no more than a third of the total amount upfront to get the work started, and then continue with ‘progress’ payments as work continues. Keep track of all paperwork and payments. Know Your Contract Rights. Each state has various laws that govern how much time you have to cancel your home improvement contract. For example, the Department of Consumer Affairs in New York states individuals may cancel any contract within 3 days, including home repair and / or improvement contracts. 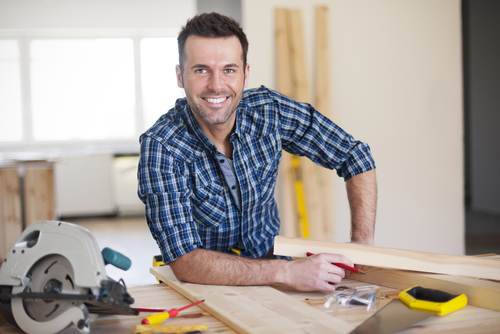 Don’t Finance Improvements or Repairs through Your Contractor. In many states is illegal for contractors to offer or arrange loans when soliciting or performing home improvement work. If financing is needed for repairs or improvements, investigate reliable and legitimate options on your own at your bank or credit union of choice. The above is an excerpt modified from the article, “Homeowner Tips for Hiring a Home Improvement Contractor.” For more information, please visit www.nyc.gov.